Silence has been the status quo around the world of MadPonies for quite some time, but its finally time for that to change. 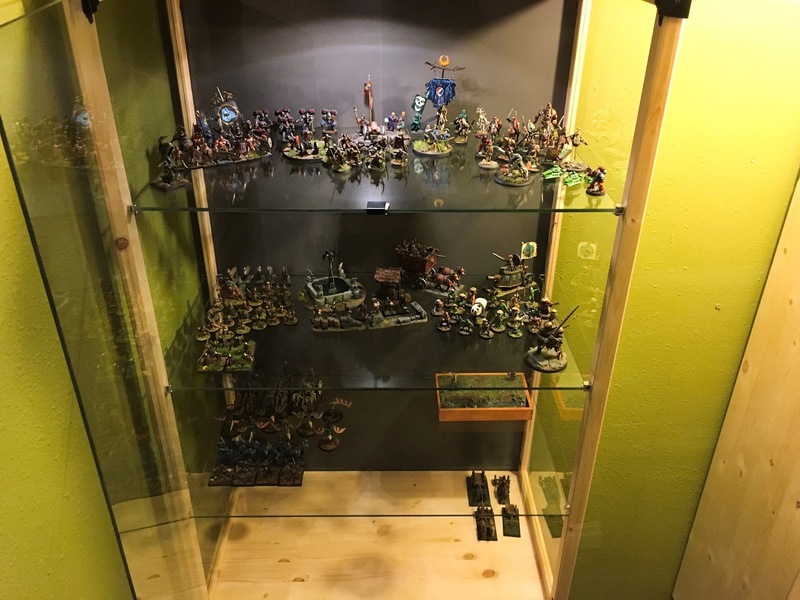 A flooded basement and subsequent remodeling work, as well as a host of other events over the last months left me little time or energy to spend on my painting and gaming hobbies. Things are coming around though, and a few weeks back I made a concerted effort to put some energy into finishing the retrofit of the game room. 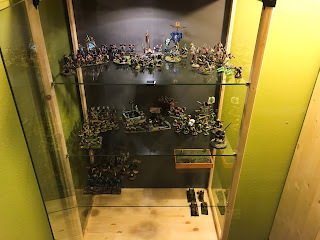 Unpacking some of the figures and terrain that were in storage for nearly a year now in turn reminded me of how many neat things I've painted and collected, and how much I miss that part of my life. And then, lo and behold. . . Last night I refilled my water jar, shook some old paints back to life, and actually put brush to metal after quite a long hiatus. My efforts were expended on a mad priest I had been about to start when all the painting stopped, and has been sitting there accreting quite a bit of dust since last winter. Well, now he's a little bit closer to hopping into my collection. I was mostly in the middle of working on a Frostgrave warband when I hung up the paints, and he will be doing duty in there, if I ever do play the game. 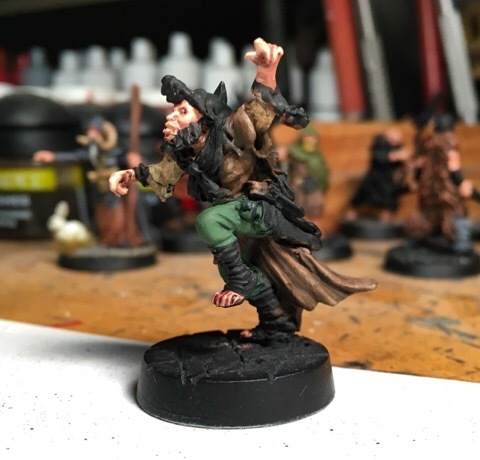 I'm not sure if my interest is still in that warband beyond the immediate, but I should probably at least finish the figures I was in the middle of when I quit, before I consider any other more divergent projects. Updates may not be incredibly frequent (especially with the holidays looming) but hopefully I'll have a bit more of production stream now, if only a trickle. And you will know him by the trail of lead . . .
Stay on target . . .